The Gramovox started as a Kickstarter project, and unlike many products on the crowdfunding site, it actually shipped. That in and of itself is astonishing, but how does it work? As Techmoan explains in his splendid video review, the Gramovox is, for the most part, a perfectly serviceable machine. Records stay in place, switching between 45s and 33s is easy, and—most importantly—the record player looks super cool. What more could you need? Well, as he points out, the on-board speakers are not terribly good, although, if you’re the type of person who would drop $400 on a record player in 2016, you probably have a banging speaker setup already. The stylus is also just a bit slippery when selecting tracks. 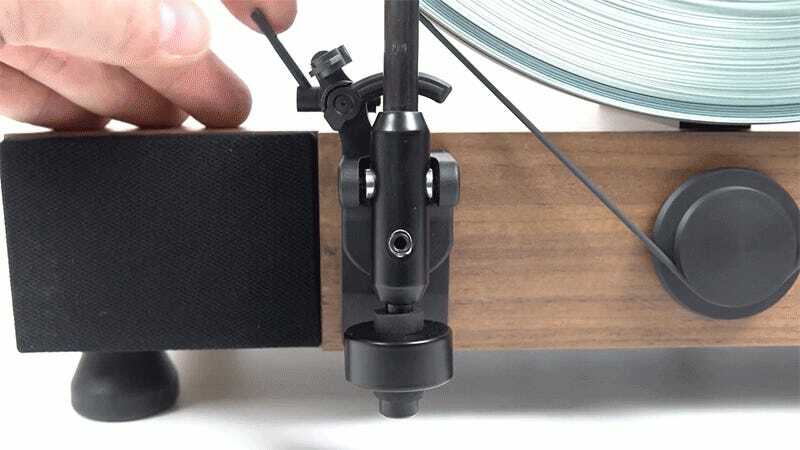 A sideways record player might not be the device that Disrupts The Music Industry As We Know It, but it is a neat way to save shelf space and enjoy the sound of vinyl.